Add some flare to your dashboards with modern-looking and interactive gauges. 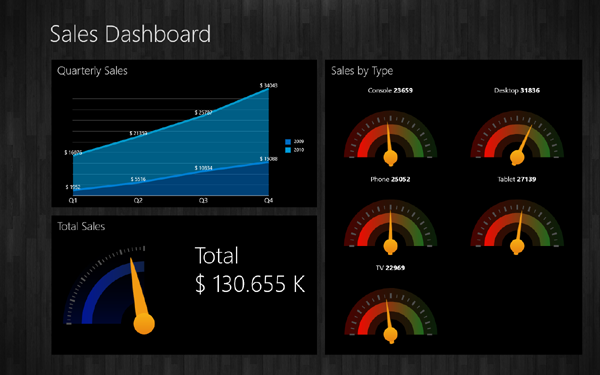 ComponentOne Gauges™ for UWP includes several gauge controls to enhance your data visualizations and business dashboards. Customize your gauges with marks, labels, and ranges. Use the RadialGauge, SpeedometerGauge and VolumeGauge controls to create radial gauges in a variety of shapes. Create linear gauges with the LinearGauge and RulerGauge controls. Use simple properties to set the range, pointer, start, and sweep angles. The Knob and RegionKnob controls are interactive gauges. Users can tap or drag the pointer to select a value. Use these gauges as input controls and customize them by adding ranges, marks, and labels — like the other types of gauges. 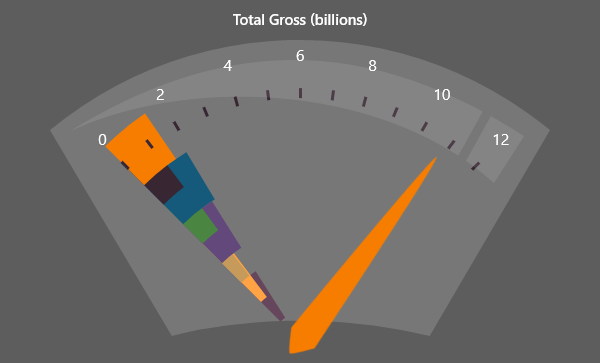 Interactive gauges are an alternative to text-based editors or sliders, and create a very engaging experience for users. Bind the gauge values and decorators in XAML, following MVVM best practices. The gauges also support an “off mode” for when the value is null or falls outside the range. Define marks and labels in XAML or code. Use simple properties to customize their interval, location, and appearance. Apply formatting to the gauge labels: for example, format labels in currency or percentage format using standard format strings. Add colored ranges to the gauge to draw attention to a certain range of values. Use simple properties to customize their start and end points, as well as their location, size, and appearance. Create nonlinear ranges by specifying a start and end width to show growth as well as add visual appeal to any gauge. ComponentOne Gauges™ have a simple yet flexible object model. Set a few properties to change the pointer cap size and appearance. Add any number of decorators — tick marks, labels, and ranges — to the gauge at any position. Customize the template of each decorator as well as its faceplate and cover to create the perfect-looking gauge. Use simple properties to set the start and sweep angle of the gauge scale. Gauges for UWP also supports logarithmic scales. 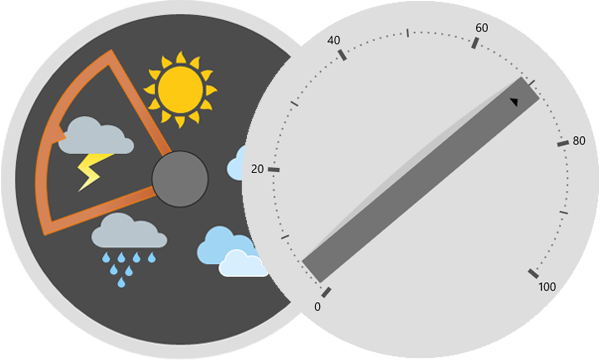 Because Gauges for UWP supports ComponentOne ClearStyle™ technology, you can change control colors without having to change control templates. By just setting a few color properties in Visual Studio, you can easily change the look of any gauge.